Tips and Tricks: How To Create A Celebrity Style Bathroom – The bathroom is very important in people’s lives. It is the place where you get ready for your day and where you relax, have your most private moments and recharge batteries for the calmest sleeping time. Bearing this in mind, when you are planning your bathroom decoration, you should never separate style from functionality. The last one is very important but still not enough to nail it. Think of how you would like to feel inside your bathroom, think of the things you like to be surrounded by and the things, colours that make you feel comfortable and relaxed. You are the starting point for any home interior decoration. And the bathroom design is not exceptional. As we consider that you deserve a celebrity style bathroom, Luxury Bathrooms prepared a few bathroom inspirations for you to get the best bathroom decor ideas for your own. Scroll down to see them all! Lapiaz inspired this unique bathtub. The french word is the name given to the typical karst formations produced by surface dissolution of limestone or dolomite rocks. It can also be caused by freezing and thawing in cold climates. This is how Lapiaz luxury bathtub emerged. Imagine a stone freezed and freshly cracked to show the intire world a rich, golden interior. The polished brass details and mirrored sides attribute this luxury design artwork an artic yet confy and warm beauty. Definitly a statement piece for the most luxurious interior designs. Buy now! The Crochet Washbasin merges a traditional Knitting tecnique, with the best of Portuguese luxury furniture design. Inspired by the artisan method popular in Europe during 19th century, the Crochet Washbasin is rich in texture, and has a timeless classic design influence. Buy now! The crossing of different tones of grey, smoother or darker, gave to birth this artistic art panel. This Cross Grey surface is based on the use of acrylic colors assortment and resin materials which blended with digital art and handmade techniques allow the creation of distinctive elements and repeated patterns. The art panels can be customized through graphic and handmade artistic touches and created in different sizes to create unique ambiences for the bathroom. This surface works really well with marble bathroom furniture due to is tones that resembled the Carrara marble effect. Buy now! Blaze Mirror reflects a very bright light and a flame of passion with its golden touch. With this mirror we can blaze our own trails and overcome any challenges that come our way. Little hobnails are engraved along the golden lines of this beautiful mirror. As an exquisite design piece, Blaze Mirror will magnetize the attentions in any bathroom by giving it a luxury touch. Buy now! The warmth brought to your home by this lighting piece will expand all over the ambience like sunlight rays. Inspired by the sun, SOLEIL is the element that will complete your living room design. Its harshness it’s smoothed by the brightest light projected by the hammered brass rays. Discrete but yet remarkable SOLEIL will shine in your home space bringing you a warm ambience to your modern interior. Buy now! An harmonious agreement and concord of Portuguese design, that brings an unique flow to life. Characterized by many curves and turns, like a sinuous grace of a dancer, the Sinuous Dressing Table has a luxurious flux to it. Ideal for an extravagant bedroom, this Dressing Table will definitely make you glow even during night time, with it’s three dazzling gold drawers. Buy now! This fluid and unusual stool transcends design and jewelry. 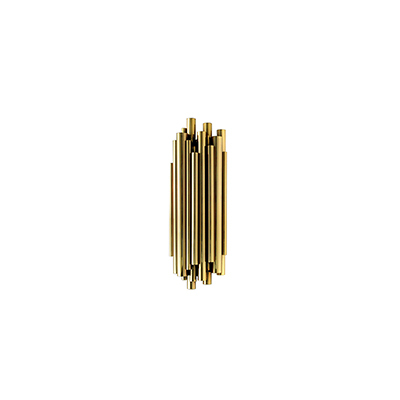 Conceived from a cuff bracelet, the Mandy stool will embellish any bathroom setting with its soft upholstery and a base in twisted high-gloss brass. Buy now! MAYA armchair‘s green/lime color was taken from one of the primary elements of Mayans culture, the maize. Represented as a tree of life in Palenque, Maya’s Maize God was also personified as woman. MAYA armchair has the sensual and delicate forms of the feminine being and the strength of a tree of life; this combination makes it as the perfect piece for every bathroom. The sweetness of its velvet will give you the sensation of being a god or goddess in heaven. Buy now!